What is self improvement? Well, the dictionary defines self improvement as "improvement of one's mind, character, etc. through one's own efforts". Seems pretty simple and straight forward. So logically, the next question one would ask themselves is what should the efforts consist of? In other words, what techniques,principles & resources work most effectively? Well, that is a question that Clinical Hypnotherapist, Steve G. Jones has been asking himself for many years. 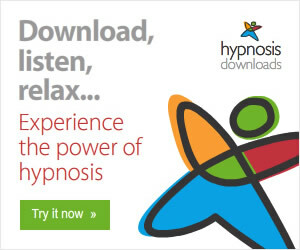 Since the 1980's, Steve has been changing the lives of people all over the world for the better using the power of hypnosis. because we are all different, some of us need more improvement in certain places than others. Taking the necessary steps toward enhancing your self improvement is like exercising. Only instead of training your body, you're training your mind. When you exercise or train your body, there is no one universal program known to man that works for everyone. Rather, effective programs consist of a combination of many different techniques and exercises that come together at different points that create the desired result. For example, let's say your goal is to build muscle. Because your entire body consists of different muscles that do different things, different exercises are required for each one. And for each muscle, there's probably 5-7 different exercises that you can perform to achieve your overall fitness goal. Training your mind is no different. The techniques that you apply should always vary. The important thing is that they actually work. Many people however, don't take the process of training their brain as seriously as they should. They spend all of their time, money and energy on resources that they think will improve their lives without ever actually investing in their mind. Think of your mind as the root and everything else as the branches. The roots set the stage of success for everything else. If you invest in your mind, everything else will fall into place. Essential Brain Nutrition - While certain foods strengthen your brain, others weaken it. Here you'll learn which foods to avoid and which ones to make part of your daily regimen. The Secret Element Needed For A Healthy Brain - Without this element, your brain is sure to burn out. Three Simple Ways To Strengthen Your Brain Using Physical Fitness - These 3 simple steps will ensure your brain gets healthy doing everyday, easy exercises. Seven Powerful Brain Techniques To Give Your Brain A Workout - Aside from the physical exercise, you need mental exercise or your brain will get out of shape. Here he discloses the most effective mental exercises known to man. Five Simple Steps To Keep Your Brain Healthy - As all true successes can only be measured by results that last, you will discover the exact methods to sustain success. Have a look at the all new Brain Power Control System. 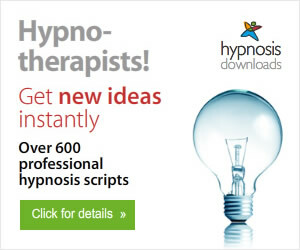 Visit Hypnotherapy for Positive Change visit http://hypno4change.blogspot.com/ for more articles about the therapeutic uses of hypnosis.